*Terms & Conditions: Continental US and Canada ONLY. International Shipping Fee Applies. Art of Beauty is not responsible for incorrect addresses, credit card entry errors, web related issues or any errors associated with declined credit cards. Returns or exchanges of promotional items not permitted. Code must be used entirely at checkout or will be forfeited. 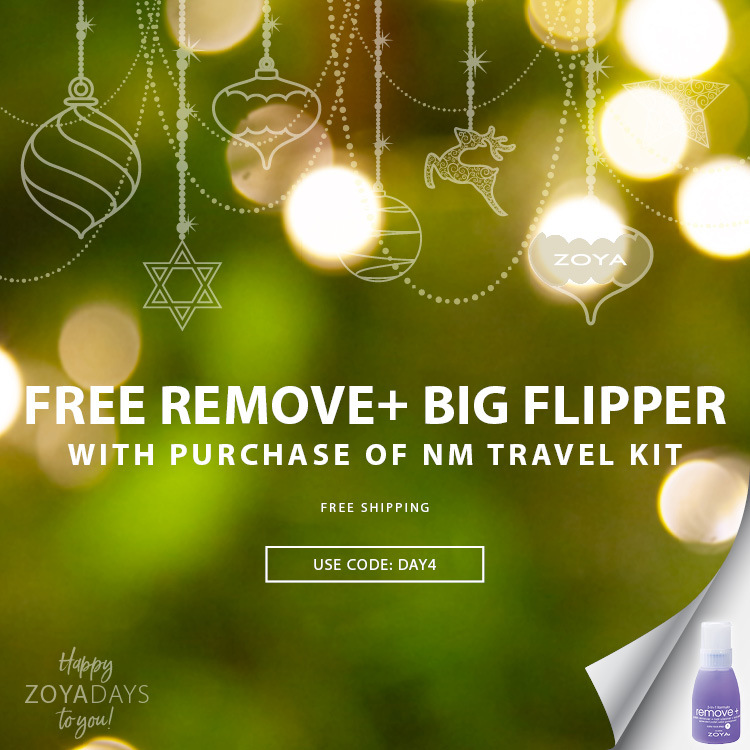 Valid on Naked Manicure Women's Travel Kit on www.zoya.com. Remove Big Flipper Added automatically with code. Any remaining balance can not be carried over. Limit One Per Order. Code must be entered at time of purchase. Code cannot be reinstated on canceled orders. Please allow up to 4 weeks for delivery.